The IEC 61850 standard has been defined in cooperation with manufacturers and users to create a uniform, future-proof basis for the protection, communication and control of substations. 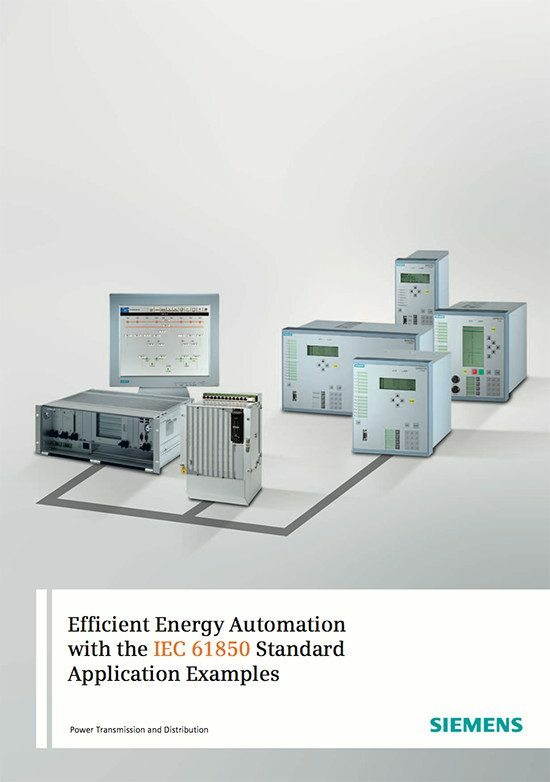 In this brochure, we present some application examples and implemented stations with the new IEC 61850 communication standard. 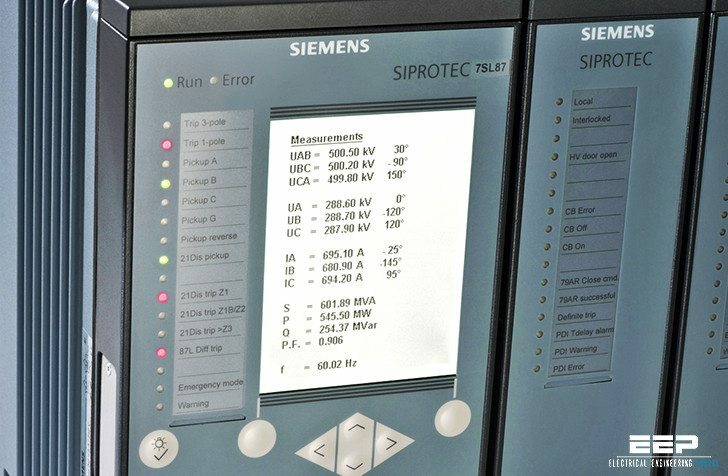 IEC 61850 already has an excellent track record as the established communication standard on the worldwide market for the automation of substations. 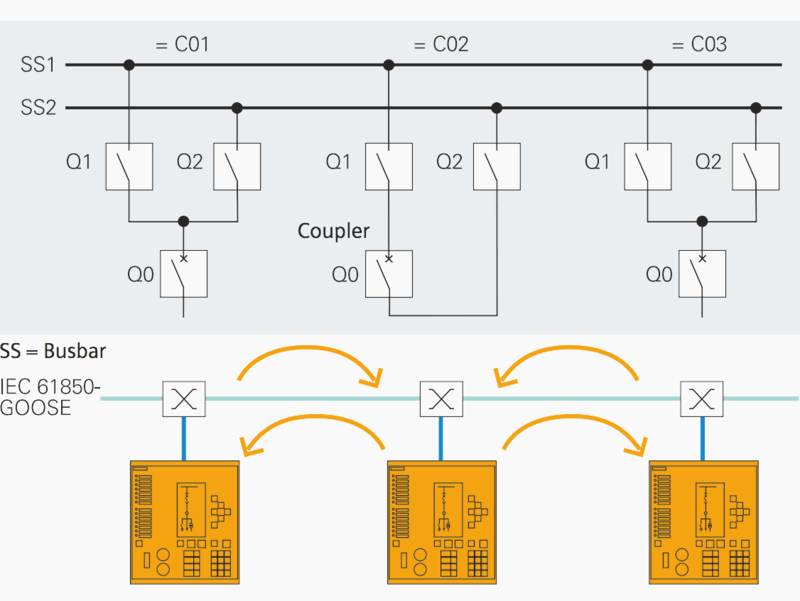 Fast communication directly between protection devices and bay control units according to IEC 61850 – GOOSE can be used to implement switchgear interlocking across bays (substation interlocking). GOOSE stands for “generic object-oriented substation event” and is an especially fast communication service that functions independently of communication between the server (bay control unit) and client (centralized station controller). And, as the system configurator software provides a view across devices, simple engineering of the substation interlocking is possible independent from the station level. In the simple example described here, the coupler and the two feeders of a double busbar system exchange the information items necessary for substation interlocking (Fig. 1). Information that the coupler is closed. If this condition is met, the disconnectors may always be operated in the feeder bays (even if the circuit-breakers of the feeders are closed). Information that the busbars are connected via the disconnectors. As soon as the two busbar disconnectors are closed in at least one bay, coupler C02 can no longer be opened because otherwise it would no longer be permissible to operate the disconnectors in the feeders. This function is called a coupler switch blocking. Each feeder sends this information to the coupler bay. This is beneficial to me.Thank you!!! !.